Genesis 1:26 is at the heart of our ministry. While dominion is connected to destiny, a clear understanding of being made in God’s image must first be grasped. We see men and women raised with foresight positively impacting generations for the kingdom of God; we see them embrace their God-given identity (in Christ) in its totality, resulting in a confident approach to and a mastering of a God-given destiny. Our particular area of emphasis is the subject of identity. We are committed to see men, women, boys, and girls come to the full knowledge of their identity in Christ, the significance of their individuality, and to help them fulfill their God-given destiny. (2) A biblical and philosophical concept: Individuality. We stress the importance of both. “Now you [collectively] are Christ’s body and [individually] you are members of it, each part severally and distinct [each with his own place and function].” (1st Corinthians 12: 27 The Amplified Bible). Transformation through identification with Christ resulting in Kingdom advancement. Identity in Christ, and its relevance to destiny. We focus on vision, identity, and purpose; in the process, transforming individuals into Kingdom leaders. Reaching out to the hearts, minds and souls of people through our seminars, leadership, mentoring and discipleship centers, conferences, youth meetings, books, TV, radio, and electronic media. With the aid of the Spirit of God and Spirit-filled Partners, we will get the message out to a world in search of meaning. 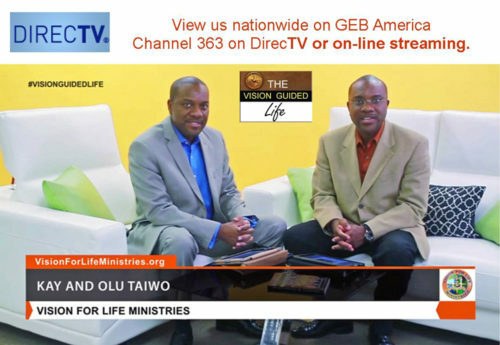 Our weekly program, Kay & Olu Taiwo: The Vision Guided Life, can be seen on TV nationwide within the US on Tuesdays at 7.30 pm EST on GEB America (Directv Channel 363). 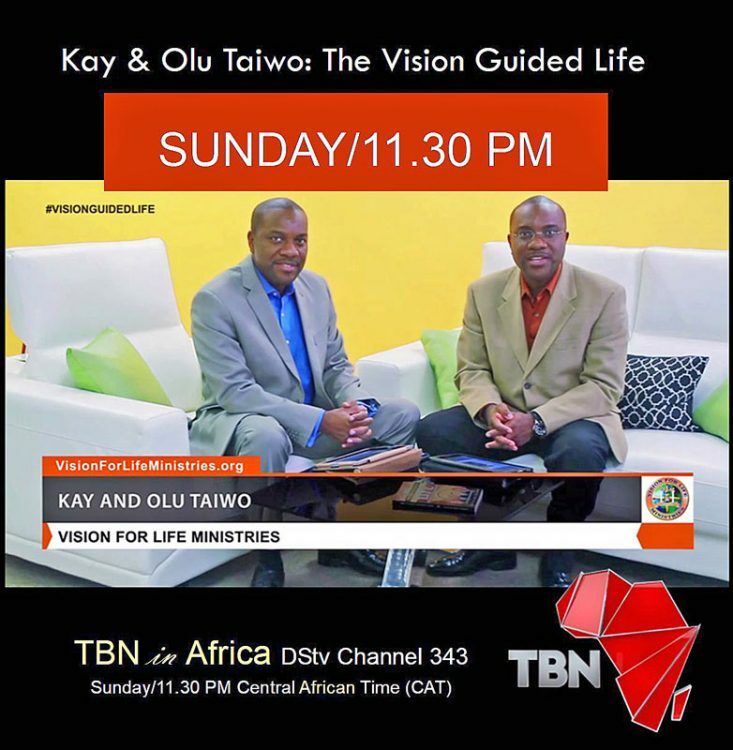 Our program also airs in the continent of Africa on TBN in Africa (DStv Channel 343) at 11.30 pm Central African Time (CAT). 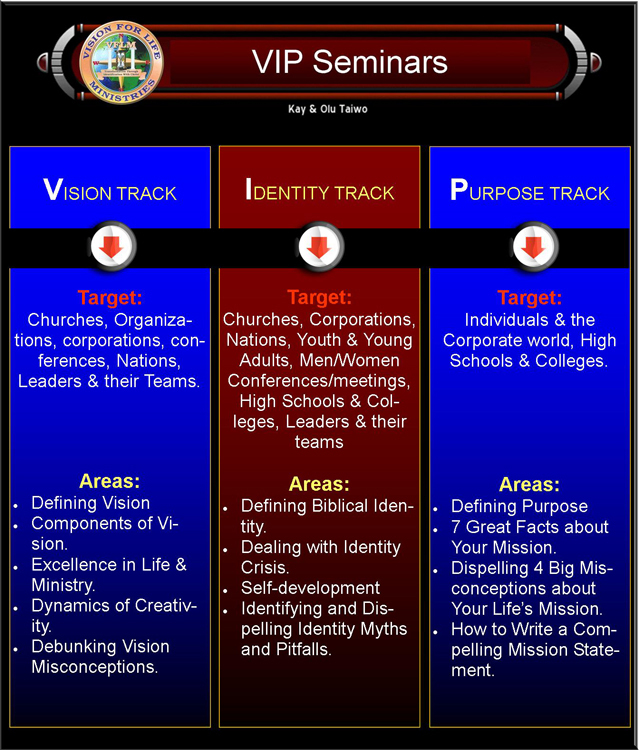 We conduct Vision, Identity, and Purpose Seminars that equip the individual to recognize, pursue, and maximize the fulfillment of his or her God-given destiny. GCDC is a para-ministry of VFLM. Its primary mission is to bring a fresh perspective on timeless biblical principles, and address critical issues relating to the Church’s realignment to Christ’s original mandate for His Body. We are blazing a trail around the world in the mobile app industry and are reaching thousands of people by promoting biblical literacy through mobile technology. 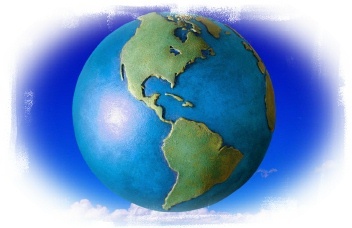 Our scope is global in reach. This includes our community and the international community at large.